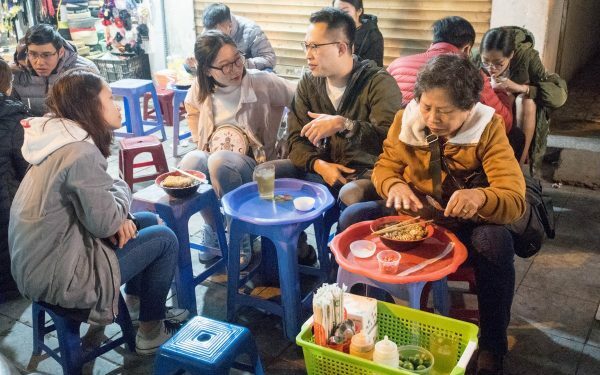 One of the more improbable thing I heard about Hanoi (or Vietnam in general) while doing research about the place prior to visiting was this “free food tour” thingy, cos you know, in my mind, how can anything truly be free? Well, as it turns out, there is such thing. 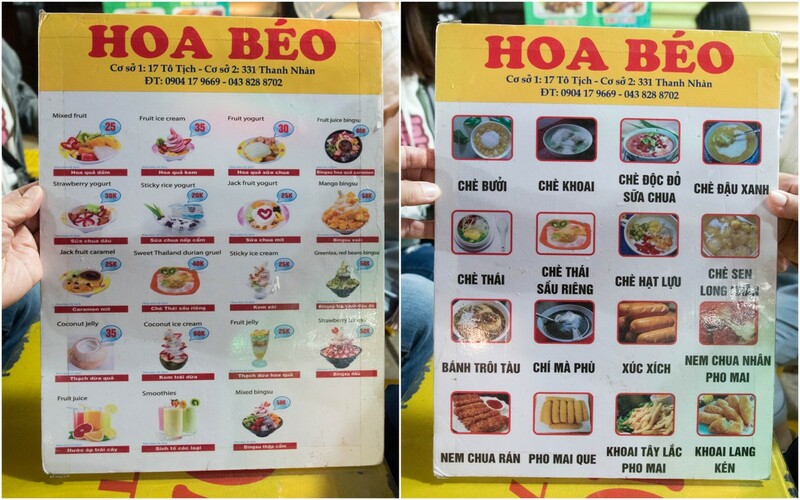 The many different “clubs” that offers free food tour operates under a similar motto – in exchange for their service, the tour guides, usually university students, get to practice their conversational English, and all we needed to do is to pay for the meals. Our experience at Hanoi was provided by HanoiKids, we booked the service online through their website, and sure enough on the evening of our appointment date, our guides – Mint & Mok, showed up at the hotel lobby as promised. Both these girls are students from Foreign Trade University located just a few kilometers away from here. In fact, they didn’t even know each other prior to this engagement, which I thought was a pretty interesting arrangement. 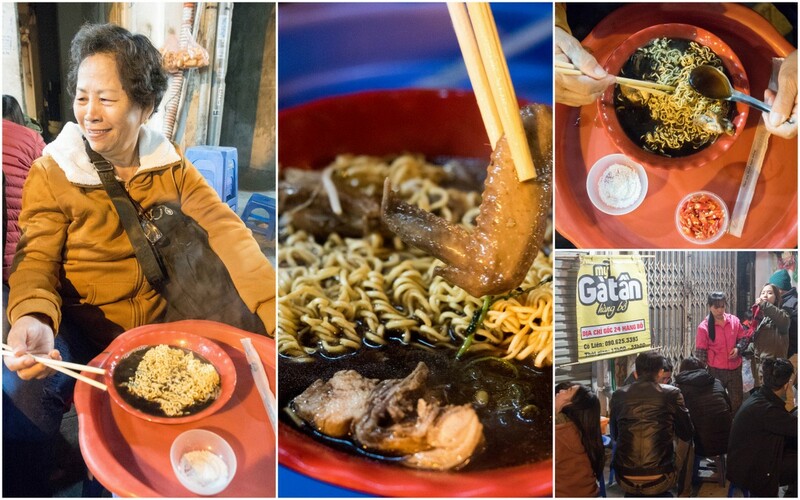 Our first destination was herbal chicken noodle, or My Ga Tan. This is not entirely too different from our version of herbal chicken mee suah, but with darker broth that’s almost half way to bak kut teh taste, and “instant” noodle instead of mee suah. The chicken was rather tasty and really soft, there’s also a side of salt & chili padi should you want to kick it up a notch. 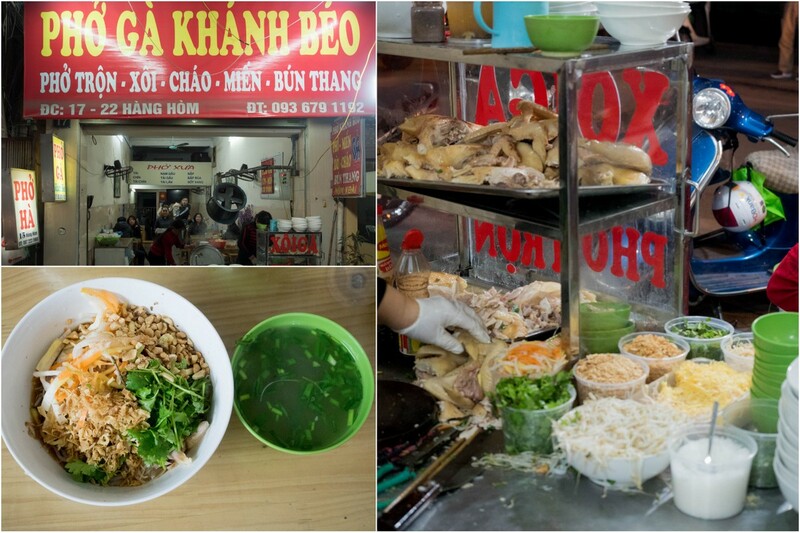 Next up was none other than the most famous dish in Vietnam – pho. In Hanoi this is usually served with chicken instead of beef, and the place we were brought to – Pho Ga Khanh Beo, has the more unique dry version. The chicken was again very soft, with the overall flavor here more subtle than the beef version in Ho Chi Minh City, but does make for a good comfort meal as well. This isn’t entirely unlike dry version of kuih teow soup in Penang, but with more vege and nuts. 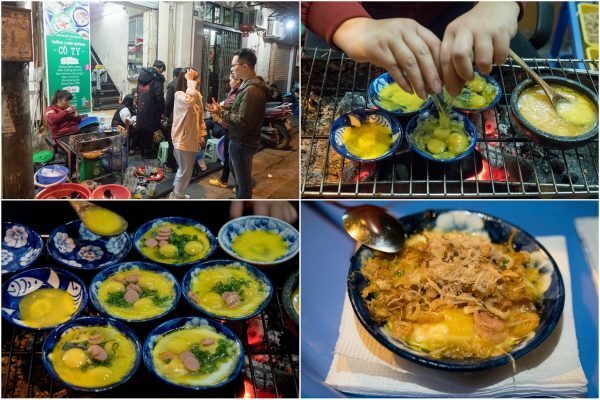 Moving on from those noodle dishes, we had this traditional street food that’s made of 3-4 quail eggs cooked with cheese, meat floss, fried shallots, green onion, sausage etc and served with tamarind sauce. It does take quite a bit for the lady to “grill” those tiny plates up but what you get at the end was quite a unique taste and experience unlike any other, now if they can just serve this at hotel breakfast egg station, my life would be complete. 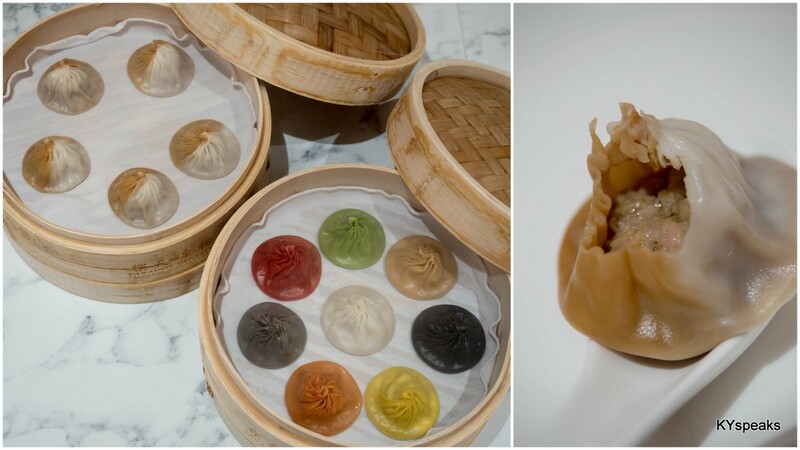 Of course, no meal is complete without dessert, and for this purpose we were brought to this place by the name of Hoa Beo for a spot of dessert. We ended up having yogurt, fruit jelly, and even mixed fruits with condensed milk. While they aren’t exactly very sophisticated, it was a good sweet note to this rather awesome free food tour. Thank you Mint & Moc for the wonderful hospitality. 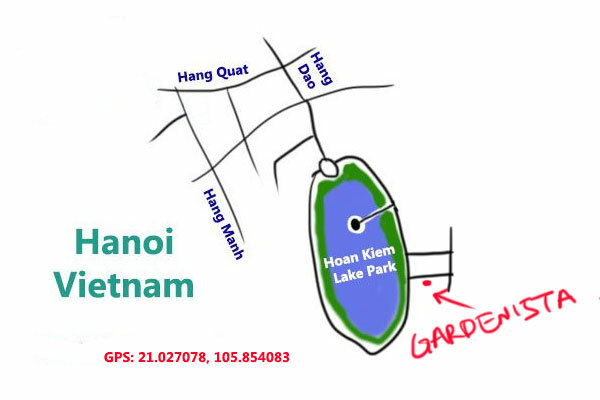 Do check out HanoiKids if your’e heading to Hanoi. 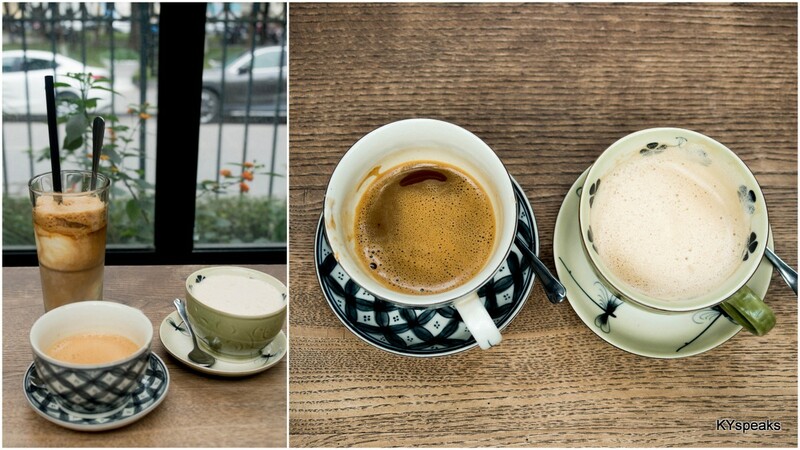 When in Hanoi, one has to of course, go to the many many cafes dotted around the city that embraces the coffee culture unlike any other South East Asian countries. While the traditional drip coffee is still king around here, there are increasingly more and more fancy modern cafes as the economic status of the country progresses. 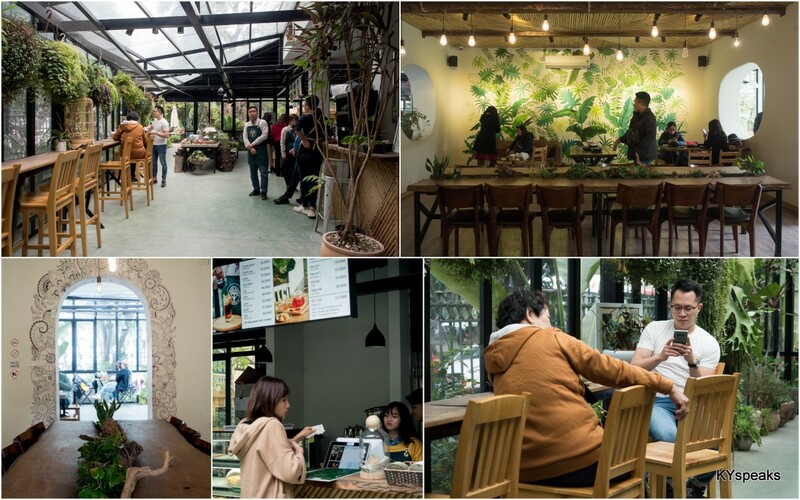 While walking around the Hoan Kiem Lake Park, a place anyone would surely visit while at Hanoi, we took a rest as this beautiful cafe that is Gardenista for a spot of coffee and a bit of rest after a long walk around the lake. The cafe itself is almost half green house & half cafe, with plenty of plants both on the floor, the counter, and even hanging from the ceiling. The interior is separated into three distinct areas, with another outdoor section to boot. I think this place can easily house over a hundred caffeinated souls. We tried their standard long black, extra milk coffee that’s got a bit more milk than your usual latte, and my favorite – the coconut ice cream coffee. These were pretty good coffee, but I do think that the ambiance is what anyone is really here for. Would love to revisit and spend an afternoon with a good book (nay.. phone and data plan). 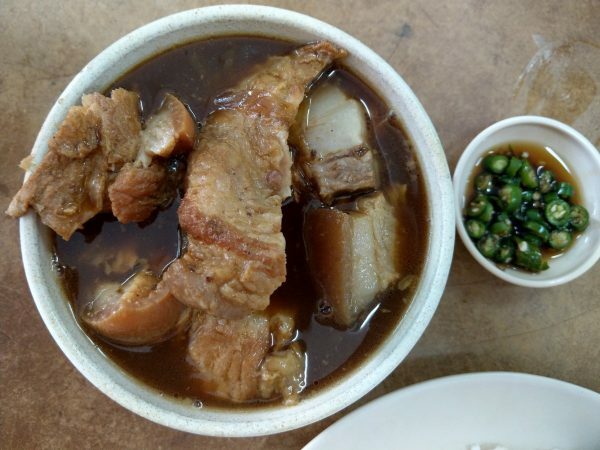 Realized it’s been a while since I last posted anything in Klang Valley, I suppose it’s appropriate to get back on talking about my favorite dish – bak kut teh. This is in fact the 60th such post on this blog, yeap, a bit much perhaps, but someone’s gotta do the job. 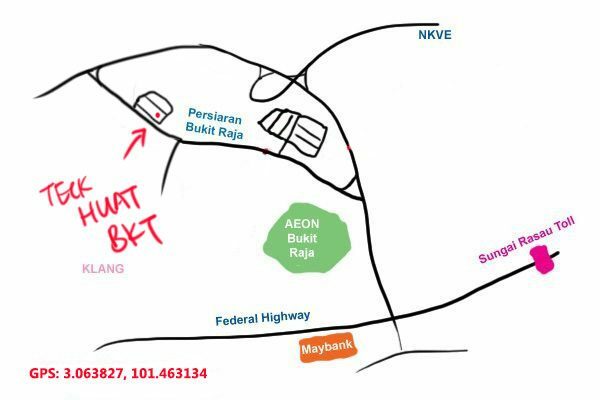 Teck Huat bak kut teh is located at Bandar Baru Klang, a stone’s throw away from Aeon Bukit Raja, and less than a couple minutes away from NKVE toll. 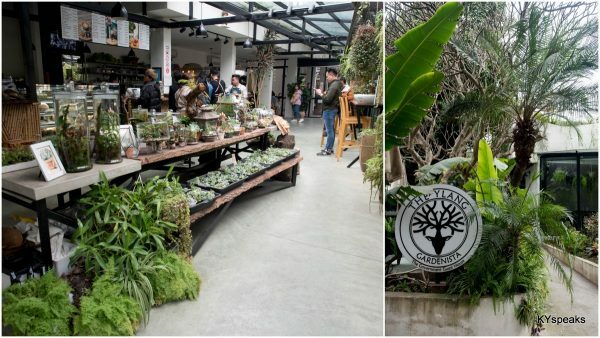 If the name rings a bell, it is because the restaurant is operated by the same family that brought the country our very first bowl of bak kut teh, the inventor itself – Teck Teh, and if my information is correct, this is in fact the brother of Teck Seong, one of my other go-to BKT restaurant. Teck Huat offers both standard bowl-type bak kut teh as well as in clay pot depending on your preference. I went with the former and yes, it does carry the signature subtle herbal note with some of the most tender pork texture just like the other Teck’s. If you like one, you’ll like the other two. 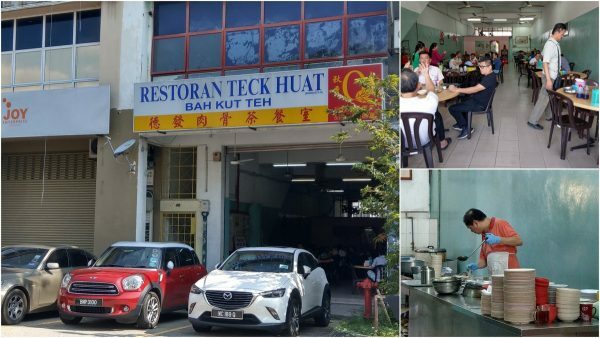 Unlike Teck Seong, Teck Huat usually operates till lunch, parking is also a simpler affair at this area, so if you long for some good old fashion bak kut teh, this is certainly a worthy place to visit. 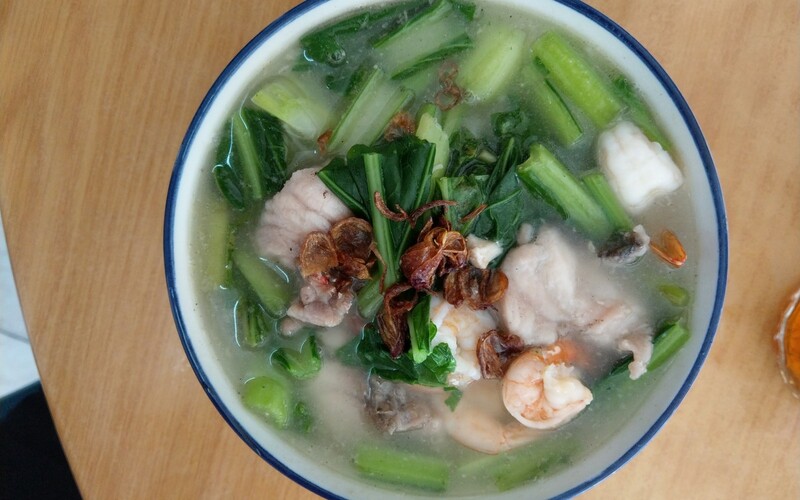 In North Borneo, the most often talked about hawker dish by visitors is undoubtedly fish noodle, and justifiably so due to the abundance of great seafood here. 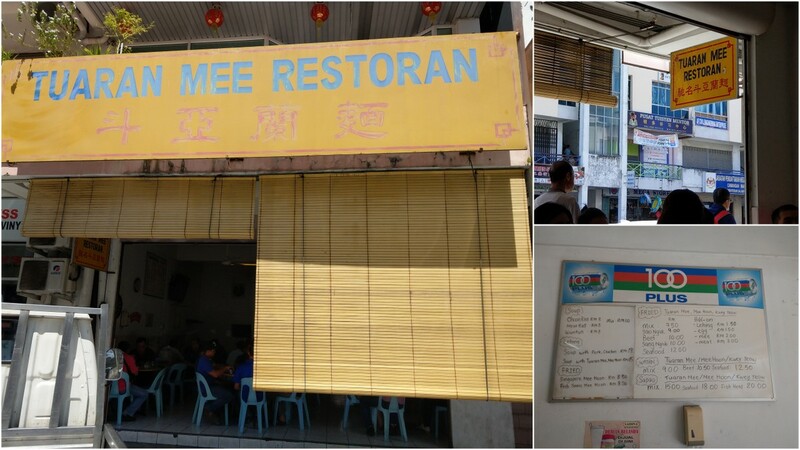 However, for the locals, often times a good plate of Tuaran Mee is where it’s at. 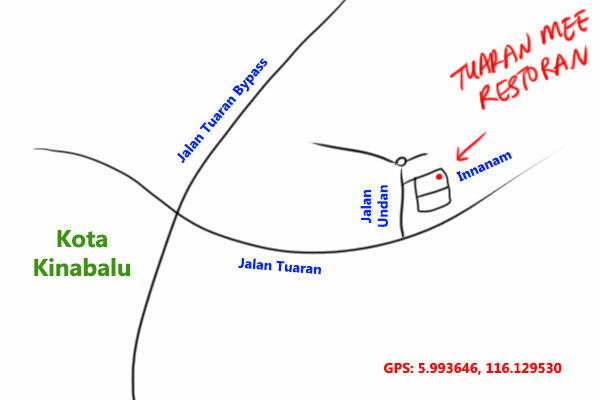 For those who’re not familiar, Tuaran Mee is a type of noodle originally hailed from Tuaran, the district just north of Kota Kinabalu. The noodle carries a texture that’s unique to its own, which I can only describe as having a springy texture almost but not entirely alike a mixture between yee mee and kolo mee. 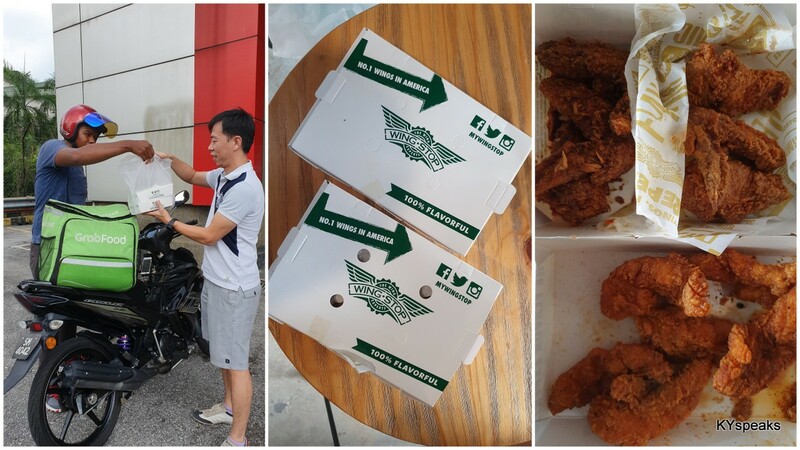 I really like it, and think it’s about time someone introduce this to the West Malaysia scene. Without driving up to Tuaran, one restaurant that offers a unique take on this dish is none other than the aptly named Tuaran Mee Restoran at Inanam, located some 15 minutes away from the city center. 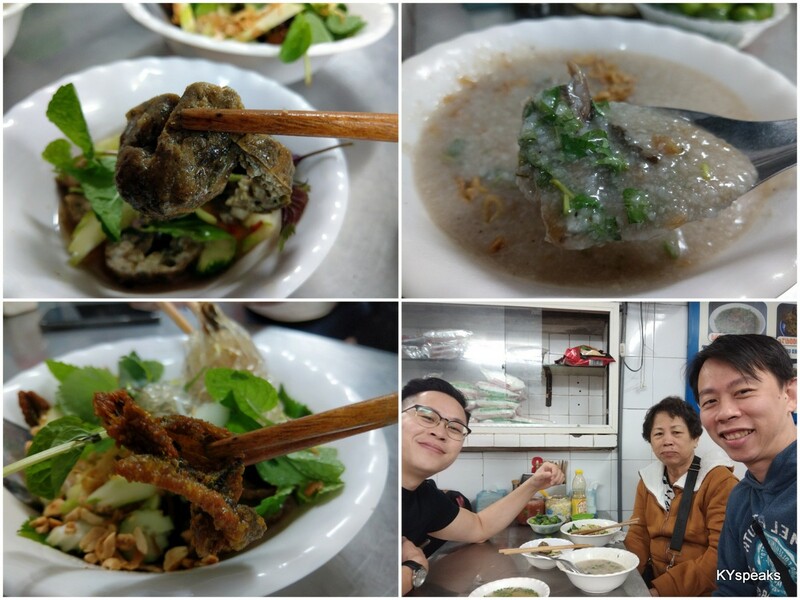 The menu is found hung on the wall and giving diners a choice of noodle that are fried, in soup, or even in claypot. 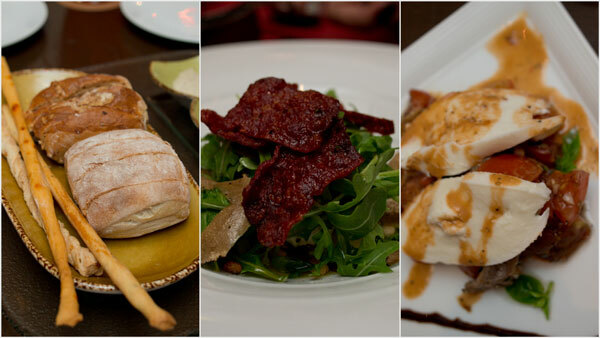 You then pick the different ingredients of choice – seafood, beef, or pork. 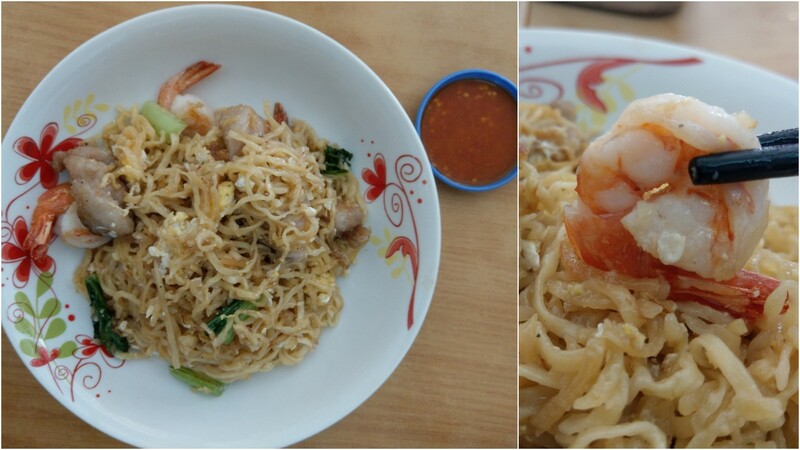 seafood Tuaran mee with lehing, love it! Most interestingly though, you get to add Lehing, the locally produced alcohol. 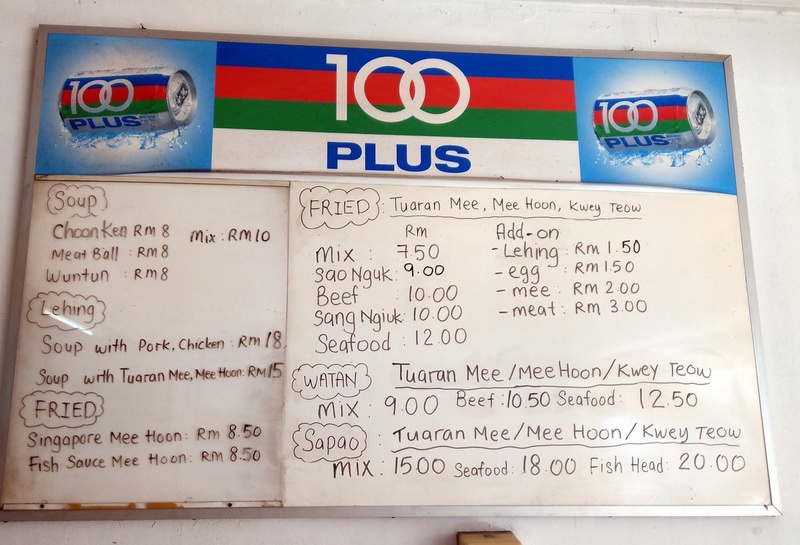 For obvious reasons, I had my Tuaran mee with seafood and Lehing, resulting in a dish that had that extra sweetness from the extra dash of forbidden condiment. The seafood was competent, and I thought I really enjoyed the accompanying chili sauce as well. I’d recommend this to anyone. 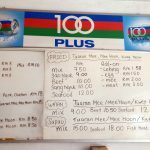 My lunch partner had meehun soup with seafood that came with plenty of those fresh vegetable that Sabah is known for and reportedly happy with her decision as well. It was a good meal, and I think I’d be back there again hopefully in not too distant future. 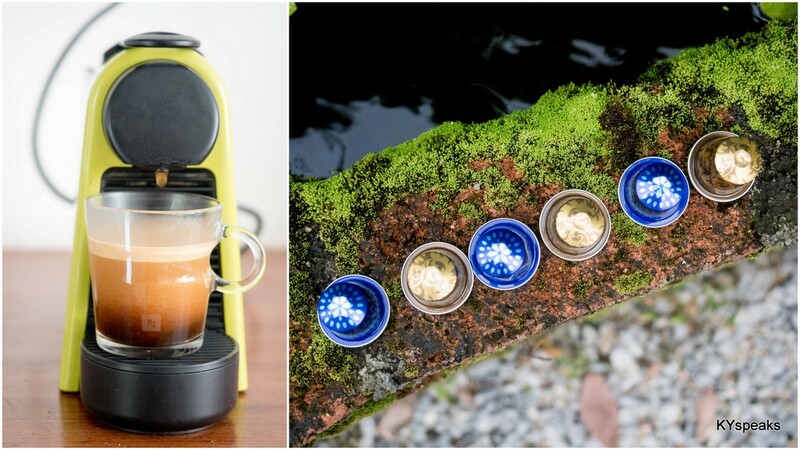 You may have remembered that earlier in the year I wrote about Nespresso and their CNY promotion. Well, ever since then I was utilising the little but rather capable Nespresso machine quite often for my coffee fix. The machine makes proper espresso and long black, with beautiful crema and taste that’s not unlike a legit cafe, and I can’t get enough of it. Coffee has some magical ability to transport us to different moments in life, but this round I’ll be sharing about how it can take us back in time as well! 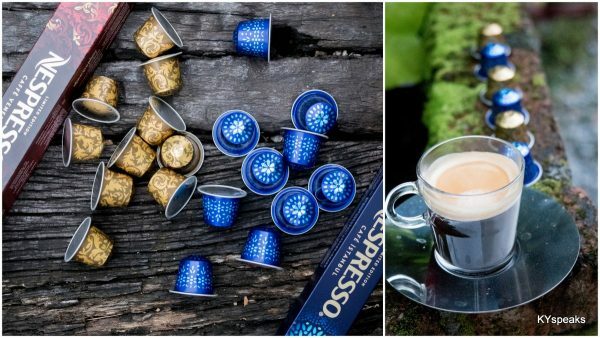 Inspired by the first coffee houses in Venice and Istanbul, Nespresso recently introduced two limited edition flavours, each celebrating 2 distinct moments in history where coffee culture has since thrived. The first one is Venice, which was apparently the entry port of coffee into Western Europe. The second on is Istanbul, the meeting point between Asia and Europe. Back then, people would visit coffee houses to match wits, challenge theories, listen to music, even discuss politics—we do that with our phones these days, even at cafes which is rather ironic, but I digress. Caffè Venezia, reminiscent of 18th-century Venice, has wild and floral notes combined with a roasted character. I decided to pair it with the sweet and similarly fruity apple crumble and thought it complements the coffee rather well from the way it brings out the roasted character even more. The aroma is simply captivating. Since Italian cuisine just goes naturally with a cup of coffee, I also paired Caffè Venezia with some good Italian bread, a simple salad with beef bacon, and some rich buffalo mozzarella cheese. Caffè Venezia fits perfectly with these dishes, bringing one back in time to the flavour and spirit of those Venetian coffee houses in that golden era. 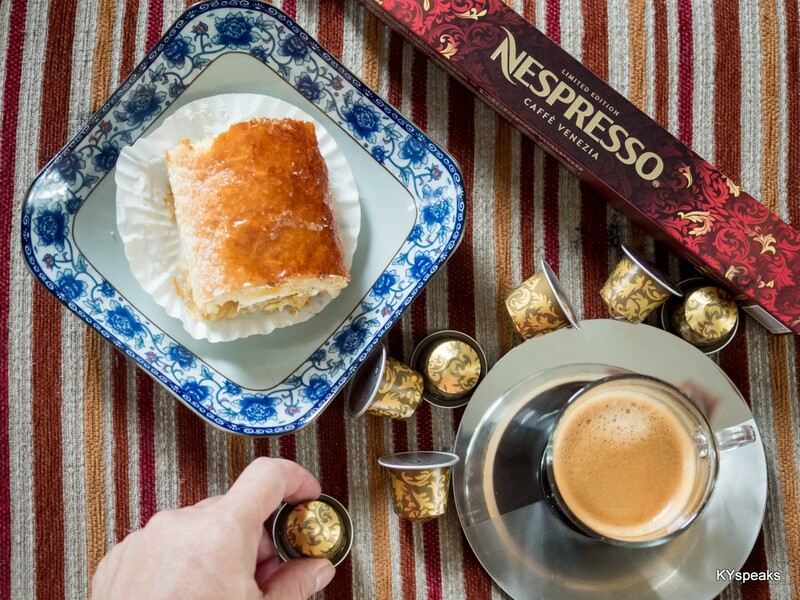 Café Istanbul has an exotic character, carrying intense roasted and black pepper spicy notes. This was a great contrast to Turkish delight which I chose to balance out the strong body with a nutty sweetness. The complex tasting profile makes for such a delightful treat to the palate that their shared origin is just a happy coincident at this point. 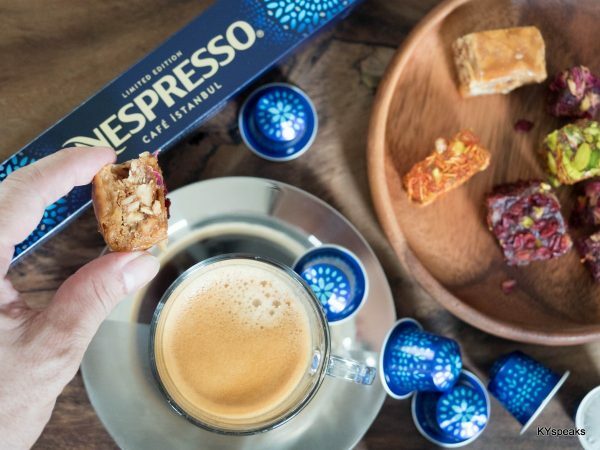 If you want a taste of coffee history, it’s time to head to the Nespresso boutique in The Gardens Mall or their website to try these Limited Edition capsules. If you haven’t got a machine, maybe it’s time to get yourself one!